While results haven’t exactly gone their way – France have taken some huge strides in recent months under new head coach Jacques Brunel. They were a Johnny Sexton last minute drop goal away from beating Ireland and managed to defeat England on the way to a solid Six Nations that saw them finished fourth overall, just two points behind Scotland. This month they were soundly beaten 3-0 by the All Blacks in their summer series – but things could have been a lot different if some controversial officiating went their way. 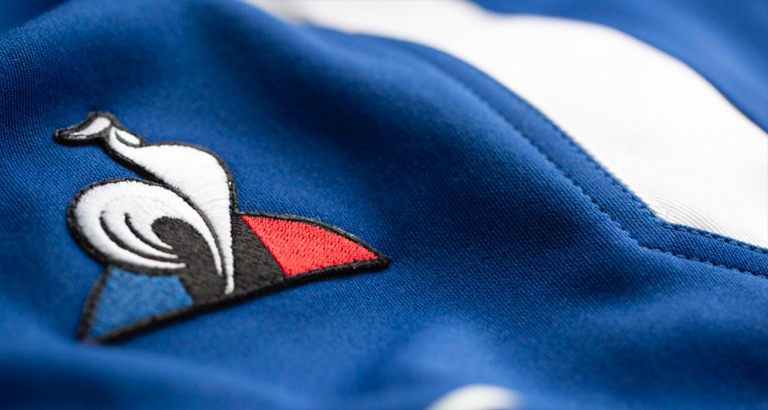 Ce sont les détails qui font la qualité de notre maillot, 100% français. With the November series and another Six Nations still to come, Les Blues should continue to improve ahead of the Rugby World Cup in Japan. And they’ll do it in a stunning new kit from Le Coq Sportif. The jersey has a real ‘retro’ feel to it and we’re huge fans. Have a look below. Un maillot français fabriqué en France, pour une équipe française.